New Page — Steven Biggs. Sharing stories from the Food Chain. The following is an excerpt from my book Grow Lemons Where You Think You Can’t. Those two poor lemon trees languished for years under my neglect. I was a student and moved around a lot, so they went from fluorescent lights to dimly lit apartment windows. It wasn’t until I moved into that first bungalow with Shelley and became smitten with Joe and Gina’s lemon that I started to pay attention to my Meyer lemons. I eventually got the hang of it. And then when one of my now knee-high Meyer lemon trees bore over 50 lemons in one picking — the small tree was so laden with fruit it looked like it was doing yoga stretches — I was hooked! But until that fruitful moment, that bush had withstood a decade of me not knowing what I was doing. When we moved from our bungalow to a house with an old sunroom that stayed just above freezing over the winter, my lemons were happier than they had ever been. The cool winter temperatures suited them. There were fewer insect pests, and when spring came, those trees flowered as they had never flowered before. While Bob grows lemons outdoors, he grows oranges and other “sweet” citrus in a greenhouse. Lemons don’t need this extra heat to ripen. Along with being a forgiving plant and cold-hardy, lemons ripen in climates many other citrus fruit might not. Bob Duncan lumps citrus into two broad groups: “sweet” citrus such as oranges and grapefruit, and “acid” citrus such as lemons and limes. This delineation is very useful for cold-climate gardeners to understand because sweet citrus need a sustained high summer heat for sugars to develop in the fruit. Acid citrus, on the other hand, doesn’t need sustained heat to ripen. Bob lives in the Pacific North-West region of North America, which has a moderate climate. To get his sweet citrus to ripen, he uses an unheated greenhouse. The greenhouse is for additional summer heat — not because of winter hardiness! 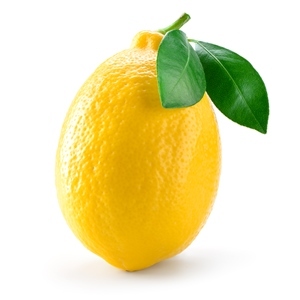 When you consider its combination of cold-hardiness and ripening requirements, lemon makes a very practical citrus for the home gardener in a cold climate. My daughter with a Ponderosa lemon harvested in the spring. It is everbearing; note the smaller lemons that will ripen later in the year. If you are interested in a delicious mix of history, horticulture, cooking ideas, and travel, check out The Land Where Lemons Grow: The Story of Italy and Its Citrus Fruit. Author Helena Attlee explores the history of citrus fruits in Italy, including some cool-climate adaptations. Of course, I didn’t read the book in the order it’s written. I went straight to the chapters about Amalfi and Lake Garda, which have a history of growing lemons in sub-optimal climates. If growing a lemon tree in a cool climate sounds like a lot of bother, well, honestly … it is. But maybe you’re like me and enjoy the challenge of growing something that’s not supposed to succeed in your climate. You wouldn’t be the first. Some people are surprised to hear that I think it’s worth the effort of growing lemons even though they are widely available in supermarkets. But trust me, it’s worth the effort. Lemons are best when they are fresh. It’s no fun trying to zest or juice a shrivelled, dry lemon that has sat out too long. The easiest way to store lemons so that they stay fresh is on the tree—they last a long time on the tree! In February I can pick a handful of Meyer lemons from the trees stowed in my greenhouse and make sorbet. The juice and rind of this lemon have a unique flavour (often described as a cross between a mandarin orange and a conventional lemon) that really can’t be beat. When you grow your own lemon trees, you can harvest more than just the fruit: Mid-winter I will grab a few lemon leaves to wrap around kebabs that I’m cooking on the grill. Lemon leaves are fragrant when bruised or torn, and impart nice flavour into a kebab while keeping it moist. See the chapter "Lemon in the Kitchen" (page 105) for some great lemon recipes and tips. Some citrus plants flower once a year. Bob Duncan’s oranges, for example, bloom once, in the spring. Lemons yield fruit at different stages of maturation and flowers all at same time. Even after the main spring bloom is over, you can still enjoy the fragrance of the flowers. With lemons, home gardeners can enjoy harvesting fruit and the fragrance of blossoms year-round. Good for the patio: good for the kitchen garden.